Millie is a former geography and history teacher with a degree in geology and a passion for the Anglo Saxon period. Since retiring a few years ago, she has been indulging this passion by writing her historical fiction trilogy, Sons of Kings, of which she is currently writing Book 3. Millie has also become very fond of writing flash fiction, something that developed from joining in with various challenges on WordPress. As a consequence, she has also recently published a book of 85 flash fiction pieces, titled A Dash of Flash. 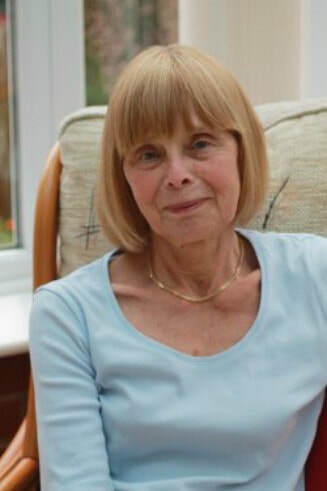 Millie is the mother of six grown up children, and after living in a number of places in England, she and her husband now live in a small village in Nottinghamshire. When not writing, Millie enjoys long walks in the countryside and visiting historical sites and re-enactments. She is also an avid traveller, swimmer and baker of cakes. Originally from the seaside town of Southport in Lancashire, she still misses the smell of the sea. A tale of Viking raids, ill-fated thralls, noble kings and their sons, and friendship and love. Above all else, a tale of unforgivable betrayal and the ever-present desire for revenge. The life of Eadwulf, son of the Mercian king, is changed forever when his family is betrayed to the raiding Danes by his treacherous uncle. His father is killed, his mother raped, and he is taken to the Danish lands as a slave. Eadwulf’s new mistress is harsh and unforgiving, his everyday life extremely hard - until the return of the jarl’s jovial firstborn, Bjorn, who allows Eadwulf to become a part of his closely-knit crew. In Wessex, Alfred, son of the Wessex king, faces tragedy from an early age. Death claims his mother, and his beloved sister leaves on her marriage to the new Mercian king: a man Alfred detests. At the courts of his father and older brothers, Alfred learns the art of kingship, And, like Eadwulf, he learns that a trusted kinsman can easily turn traitor. The ninth century story of Alfred of Wessex and Eadwulf of Mercia continues to unfold against the increasing threat of Danish raids. After years as a slave to the Danes, Eadwulf has returned to his Mercian homeland and settles to a life of calm domesticity, spoilt only by his constant desire for revenge. His frequent absences from his new home, connected to his past life, threaten to destroy the relationships he has fostered and alienate the family he has come to love. The Danish invasion of the Anglo-Saxon kingdoms is merciless and relentless. Each year more dragonships come to join their comrades in a quest to plunder and gain control over the people. The Danes take kingdom after kingdom and Alfred and his brother Aethelred wait with baited breath for them to set their sights on Wessex. By 869, their worst fear is realised. A Dash of Flash is an eclectic mix of stories with either contemporary or historical settings, plus a few fairy tales and ghost stories added for good measure. Most of the stories are between two to three hundred words. A few are as short as one hundred words and half a dozen are closer to a thousand. All are within the bounds of what is generally termed as ‘flash fiction’ and many of them are accompanied by colourful images. The characters are many and varied, as are the situations we find them in. We join them at their times of joy or sorrow, remorse or loss. We can laugh at their foibles, commiserate with their grief or indulge with them as they reminisce. Or simply smile at the fantasy of the tale.